Its easy. 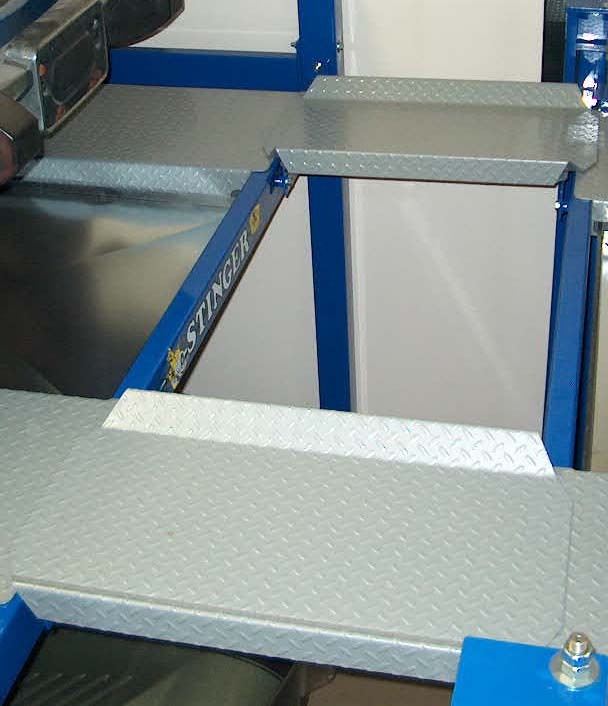 Load your vehicle on the lift, Raise your lift to the height of the balcony system, attach a set of crossover ramps from your lift to your stationary balcony system, push the vehicle onto the balcony. 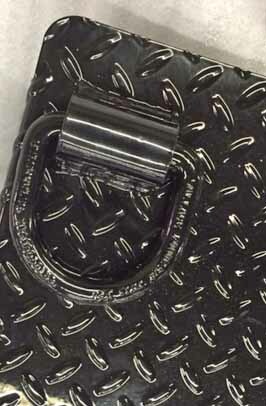 Available in 13, 14, 16, and 18 foot lengths. 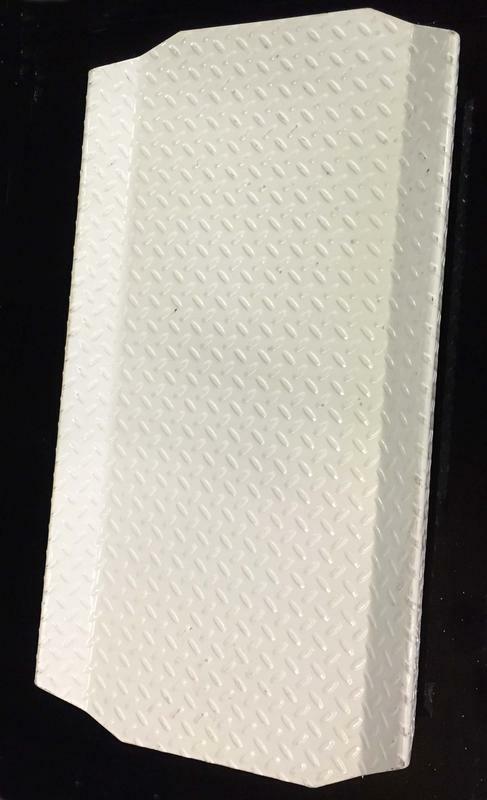 Custom balconies are also available on request. 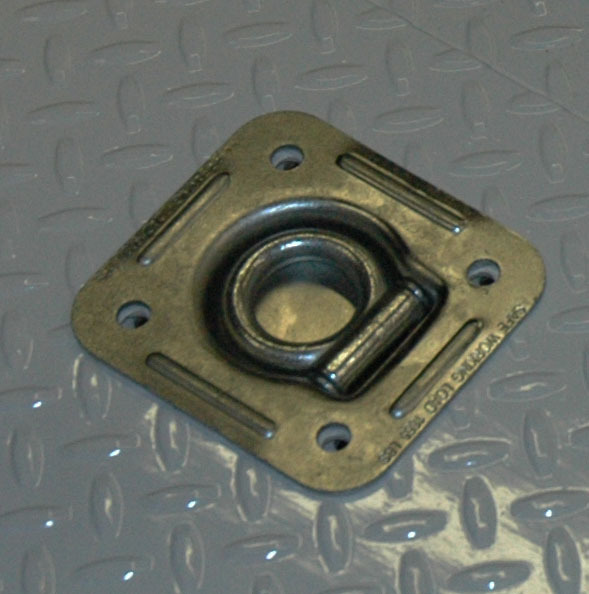 If you want to make your lift a bit more versatile try one of our bolt on center sections.Our center sections are fabricated from heavy duty tread plate or lightweight aluminum. 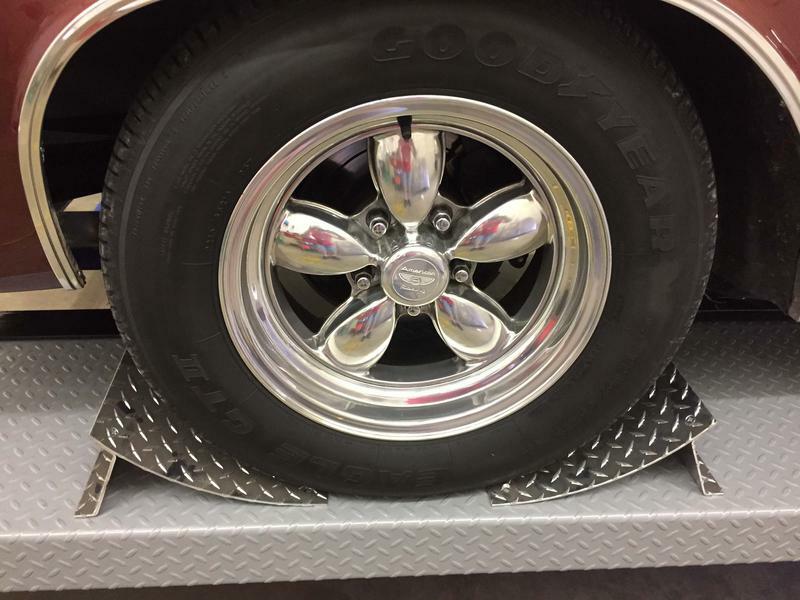 Our optional polished aluminum wheel chocks will provide a safe and smooth point for tires. 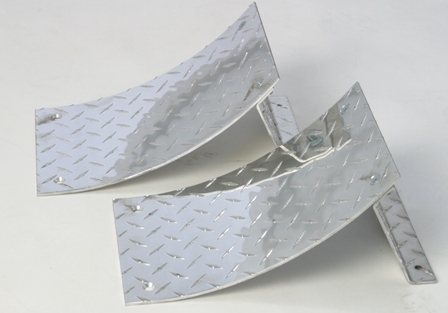 These wheel chocks are sold as a pair and can be bolted directly to the ramp if desired. 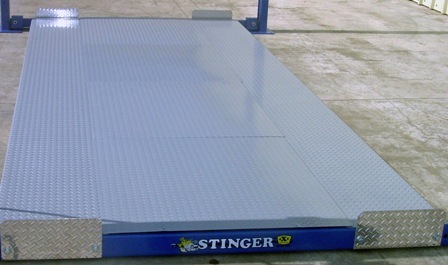 13 foot lift with 3 piece steel center section. 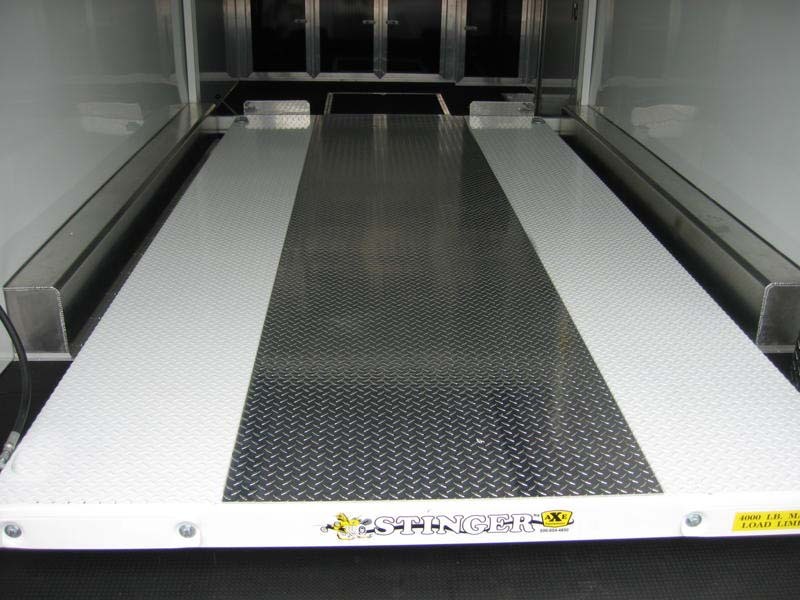 13 foot lift with 3 piece aluminum center section.